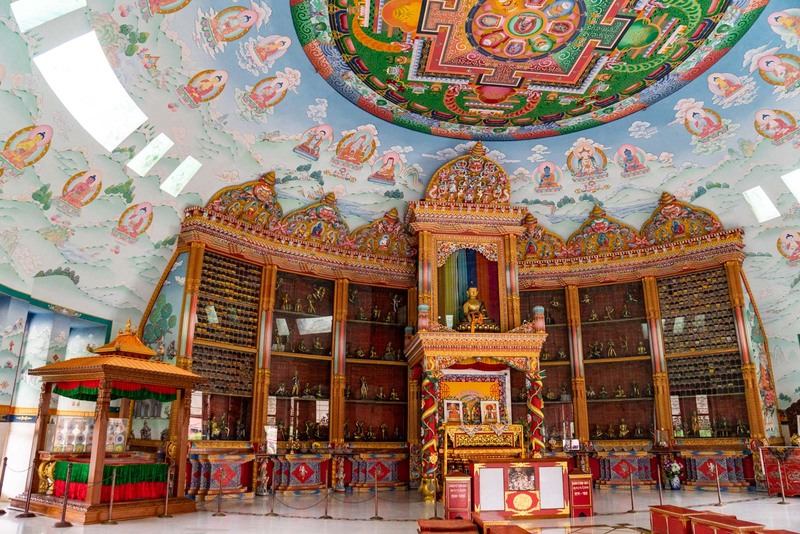 There's more to Lumbini than just the exact birthplace of Buddha. Here's what you need to know for visiting Lumbini in Nepal. Like many religious origin stories, the genesis of Buddhism starts with a baby. It’s said that from the moment of birth, this baby was destined to change the world. The year was 623 BC and a pregnant Queen Mayadevi, the wife of a ruler of a kingdom in present-day Nepal, was walking back to her hometown to give birth. But the baby came slightly sooner than expected and so, with a full moon in the night sky, she stopped under a sal tree and gave birth. Today, this place is called Lumbini. According to the stories, as soon as the little boy was born, he walked seven steps to the north, looked around, and then announced that this would be his final rebirth. Those seven steps were just the first of many important ones to come. The baby boy was named Prince Siddhartha. He would be raised as royalty but eventually leave the palace in search of a deeper meaning to life. Eventually, at the age of 35, Prince Siddhartha would find enlightenment. In this moment, he would become the Buddha – and the founder of one of the world’s great religions. It’s no wonder that Lumbini has become one of the most important pilgrimage sites in the world for Buddhists, representing the beginning of it all. Buddhism is an interesting religion because, when compared to the other main faiths in the world, it has a big difference – it is based around a human and not a god. Previously, I knew very little about Buddhism, so thinking more about this key difference was an important first step in my journey of understanding. And what better place than Lumbini to do this. For religions like Christianity, Islam, or Hindu, there are deities at the core of the narrative. With Buddhism, it’s not about worshipping an omnipotent and omniscient god. It is much more about a way of living. And this comes from Buddha himself. He was not a god – and, in fact, he told his followers not to worship him. In many ways, he is best described as a philosopher or a prophet who preached about life in a way that captivated the souls of the people. Now, we all know that when it comes to religions, there’s a decent mix of history and imagination in their foundational stories. When it comes to Buddhism, there is much more factual history in the narrative than in other major faiths. Let’s forget about some of the decoration that’s been added to the tales over the years – such as the baby Prince Siddhartha walking seven steps and declaring he won’t be reborn again. Most objective observers could probably agree that things like this are not factually accurate from a historical perspective. But the majority of the life of Buddha, and hence the keystone of Buddhism, can easily be proved as historically true. So, when you consider the impact he had on the people he met, we have to assume that his teachings were impressive, that he was able to inspire people enough to follow them. We have to assume that, even is there was nothing divine about the Buddha, that he was one of the greatest thinkers of human history and his messages had a resonance that changed people’s lives. It’s worth stressing that everything I’ve said is not to take away from the spiritual side of Buddhism and the aspects that are based more in faith than fact. The point I’m trying to make is that Buddha is a part of world history, regardless of your belief system. And his teachings have universal relevance and are as relevant today as they were 2500 years ago. Even one of the most important elements of the Buddhist faith, the enlightenment, can be looked at in two ways. It could be an ethereal experience in which Prince Siddhartha passed into another plane. Or it could just be the time when finally he had clarity of thought and the maturation of his messages was complete. Either way, it probably doesn’t matter. The story of Buddha is as relevant for one person as it is for another, regardless of how you approach it. Today, the site at Lumbini is a physical representation of the story of Buddhism. But it wasn’t always that way. When Queen Mayadevi stopped here in 623 BC to give birth, there was nothing of significance here. And that’s fitting. There’s a purity and a cleanliness to the story that the boy who would become Buddha was not born in a house but beneath a tree, near a pond, under a full moon. For many centuries after that, Lumbini remained relatively undeveloped. The site was first officially declared the birthplace of Buddha in the 3rd century BC by the great Indian emperor Ashoka. But, even then, it was only a limited number of temples and pagodas that were built here by worshippers. 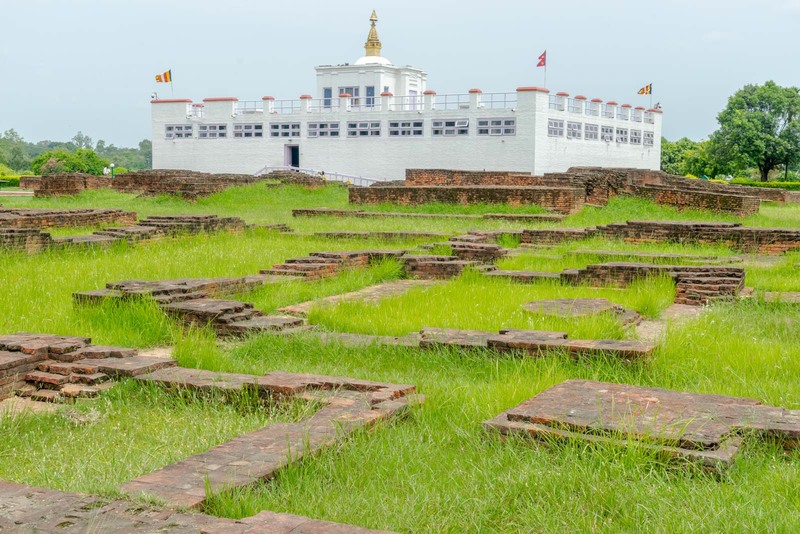 Lumbini was apparently visited a lot by pilgrims in the Middle Ages and so more infrastructure was added – but it was mostly lost and covered by forest from the 15th century onwards. The site of Lumbini would only be ‘rediscovered’ by archaeologists at the end of the 19th century. Even then, This only changed very recently (in a relative sense), in 1978, when a new masterplan to develop the site was unveiled. The idea to turn the Lumbini site into a new visitor experience was the result of a campaign by the then UN Secretary General U Thant, a Buddhist from Myanmar, who visited in 1967 and was shocked at how little care was being taken of the birthplace of Buddha. What came out of the campaign by U Thant was the idea of a complete redevelopment of Lumbini. It led to a new master plan for the site developed by Japanese architect Kenzo Tange and approved in 1978. 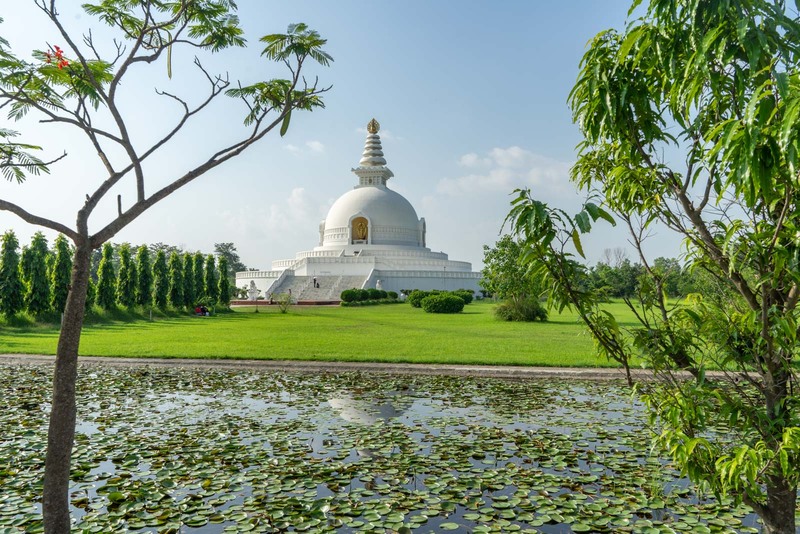 This new design, still called the Lumbini Master Plan, is what you’ll find when you visit today – and it has a huge impact on the way you’ll experience the site. It’s laid out in a way that’s supposed to take you on your own spiritual journey. The site is made up of three sections, each exactly a mile long. You’ll start in the first one, called the New Lumbini Village, which has tourist facilities like hotels, food stalls, shopping and a museum. As you symbolically move from this area of ‘worldly activities’, you’ll go into the central area that represents knowledge and spiritual purification, called the Cultural and Monastic Zone. You’ll need to travel the whole mile of this section by walking, bicycle, or boat down a canal. On either side, surrounded by forest, are the monasteries (that you can explore later). Finally, you’ll arrive in the last section, the most sacred of them all – for it was here that Buddha was born. You’ll be able to see the marker stone and spend some time in the sacred garden. Some visitors will come to Lumbini for an hour or so, see the main temple, and then leave. But there’s much more to the site than that. Spending time exploring the different areas, thinking about what they represent, connecting with the pilgrims who have come here – it’s what your Buddhist journey should be. To give you an idea of the things you can do at Lumbini, I would like to offer a bit more information about the main sights. 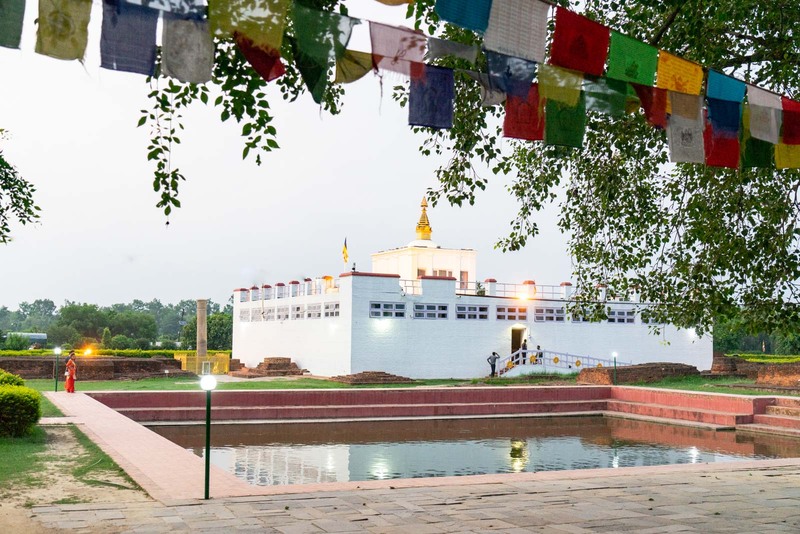 Here are the main places to visit in Lumbini. I’ve put them on a map so you can see how it all fits together. There is no wrong or right way to explore the area, but it was designed for you to slowly make your way south towards the Sacred Garden as the climax of the visit. At the northernmost the site is the World Peace Pagoda. It was built by Japanese Buddhists as a symbol to unite humanity. It’s an enormous pagoda that dazzles bright white in the sun. True to the name, you’ll often find locals sitting peacefully in the park around it with a picnic. You can also climb up the stairs and walk around the upper level of the pagoda. Next to the World Peace Pagoda is the Crane Sanctuary. This natural reserve has been put aside as a safe area for local birds, including the Saris Cranes. The cranes are the tallest flying bird in the world and it’s estimated there are about 100 pairs living in the area. They are especially important in Lumbini because of the special link they have to the story of Buddha. I don’t think Lumbini is the kind of place you come to spend time in a museum. There are enough ‘real’ things to see in Lumbini without needing to spend too much time in a building. Having said that, you may be interested in the Lumbini Museum in the village area. It has a small collection of artefacts and photos that tell you a bit more about the site and about some general Buddhist traditions. The Central Canal runs down the middle of the Lumbini site and connects the village area to the Sacred Garden. Along its length, several small brick bridges cross the water. One of the ways to get through this central section is to catch a boat along the canal. You’ll find drivers waiting at either end. Otherwise, your other options are to walk along the side of the canal, which is designed to give the impression of a pilgrimage. Or you can cycle through one of the monastic zones on the sides of the site. Many of the visitors to Lumbini are not simply tourists, here to have a look around and take some photos. Most are true pilgrims, who have come from around the world to visit the birthplace of Buddha. To accommodate them, there are monasteries within the main site. The monasteries are located in two zones, either side of the Central Canal. The West Monastic Zone is the larger of the two and has 14 monasteries. They are all followers of the Mahayana school of Buddhism. Each monastery is different and almost all of them have been established by Buddhists from a particular country. It means you can find a wonderful collection of different architectural styles, capturing the whole world. Most monasteries welcome guests and you can go in and look at the public areas. It’s worth going to as many as possible. I would particularly recommend the Chinese Monastery, with a golden pagoda at the centre of a manicured garden; the South Korean Monastery, with it’s tall and colourful facade; and the Great Lotus Stupa (sponsored by Germany), with an intricately-painted interior and large garden. In the East Monastic Zone, there are only five monasteries but they are also worth visiting. These are all followers of the Theravada (Hinayana) school of Buddhism. Because there are fewer buildings, the zone feels even more peaceful, with more forest between the different structures. If you’re getting around by bike (which is what I would recommend), part of the experience is cycling amongst the nature as you go between the monasteries. 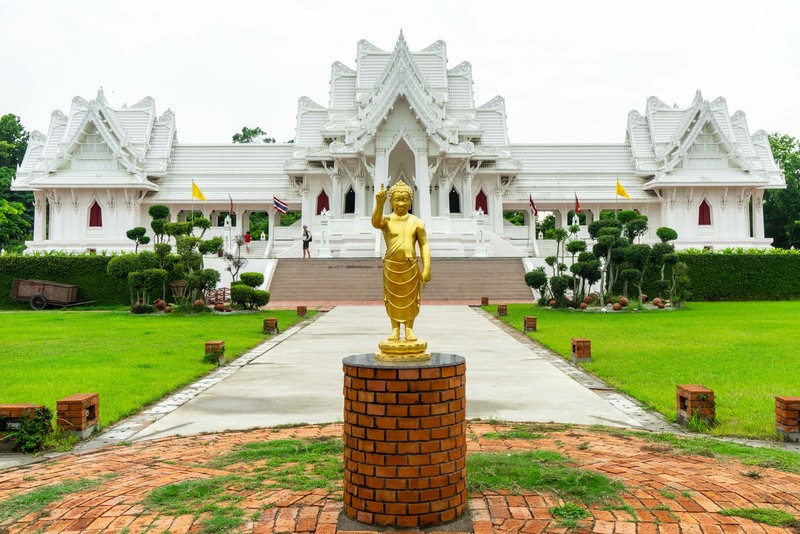 One of the most impressive buildings of the whole Lumbini site is here on the eastern side – the Royal Thai Monastery, with gleaming white marble taking its inspiration from the grand wats of Thailand. 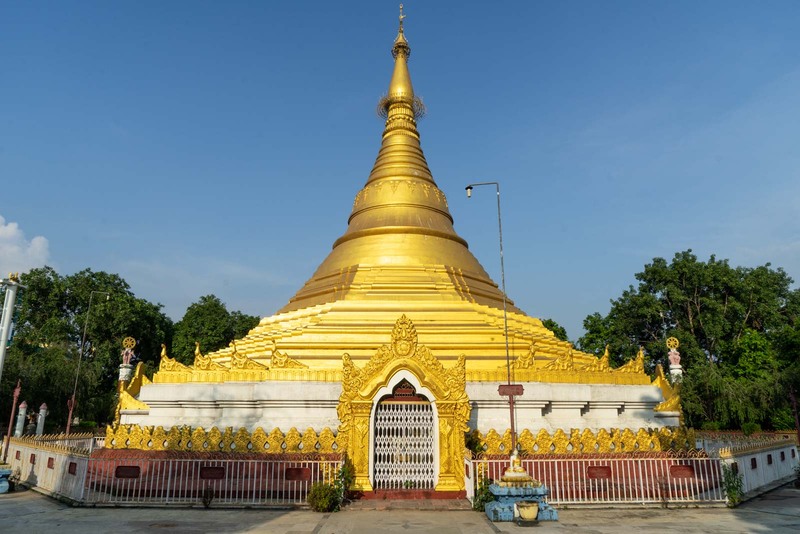 There’s also the Myanmar Golden Temple that is designed to look like the famous Shwedagon Pagoda in Yangon, and the Sri Lanka Monastery that is spread over several levels and surrounded by a water feature. 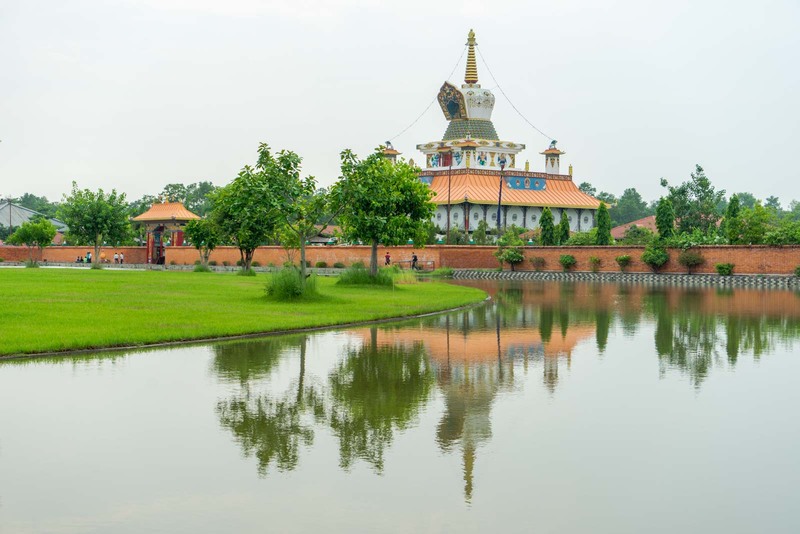 At the heart of Lumbini is the Sacred Garden and it’s here that you’ll find the most important parts of the site. It’s said that this was the very spot where Queen Mayadevi gave birth to Prince Siddhartha in 623 BC. When you go into the garden, you’ll immediately sense the gravity of where you are. 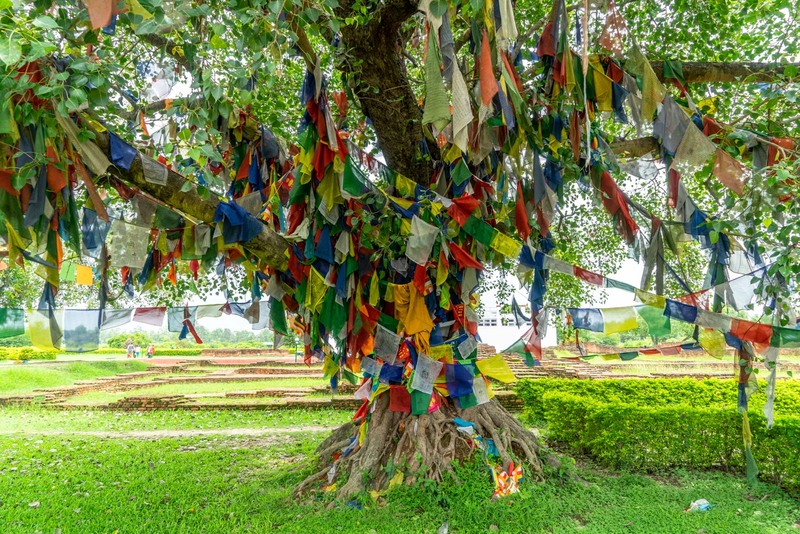 Prayer flags hang between the trees and pilgrims sit underneath them in silent prayer. The large Sacred Pond is the focal point of the garden and it’s said that this was where Queen Mayadevi had a bath before giving birth, and where she gave her son his first purification bath. Another very important part of the Sacred Garden is the Ashoka Pillar. This was erected by the Indian Emperor Ashoka in 249 BC to commemorate his visit to Lumbini when he officially declared it to be the birthplace of Buddha. But within the Sacred Garden, there is no part that is more significant than the Mayadevi Temple. 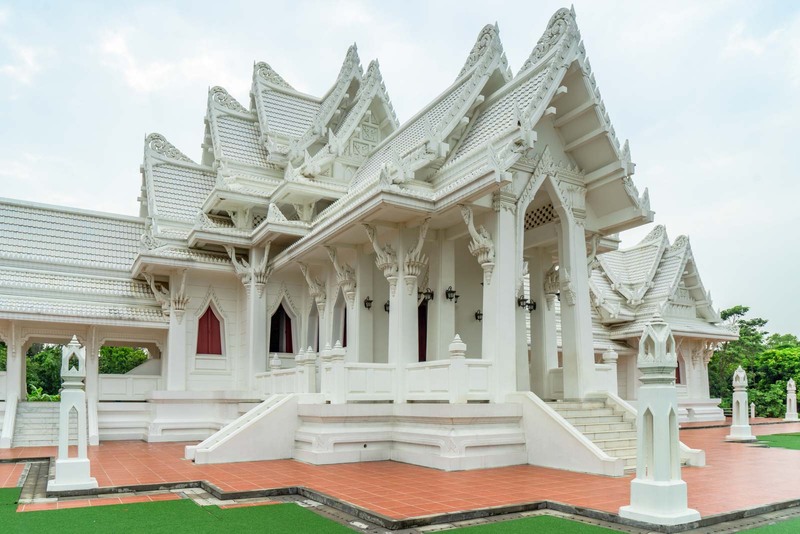 The large white temple building that you can see from the outside is actually a modern construction, having been built in 2003. It’s really only there to protect what is inside, and is not important on its own. Inside is the actual Mayadevi Temple – or, at least, the archaeological remains of it. Experts say they’ve found evidence of a wooden building from the 6th century BC, that would be the oldest Buddhist shrine in the world. The stone foundations you can see are from various reconstructions over the following centuries. In the middle of the Mayadevi Temple is the Marker Stone, that shows the supposed exact spot of Buddha’s birth. In the same location is a stone carving of the nativity scene that was made in the 4th century. 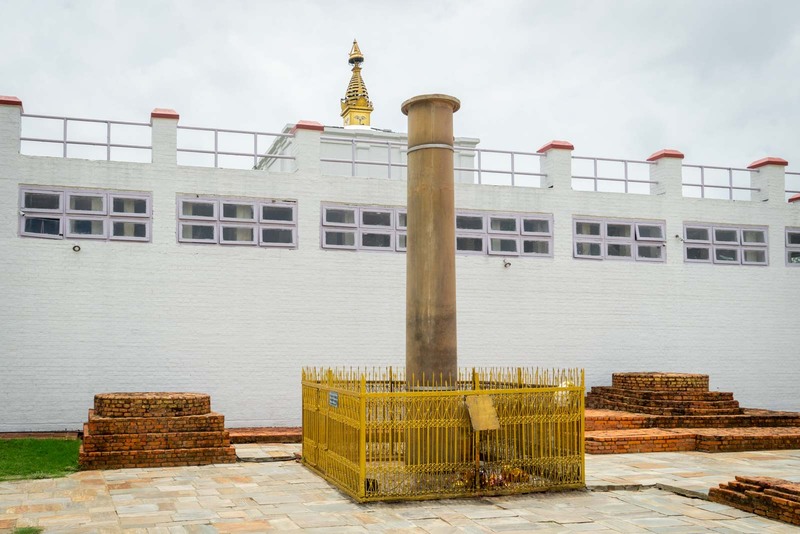 It’s when you arrive at the Marker Stone and take a moment to think about what it represents that you have reached the end of the physical journey that the architects of the Lumbini site designed. But it is not supposed to be the end of your spiritual journey. 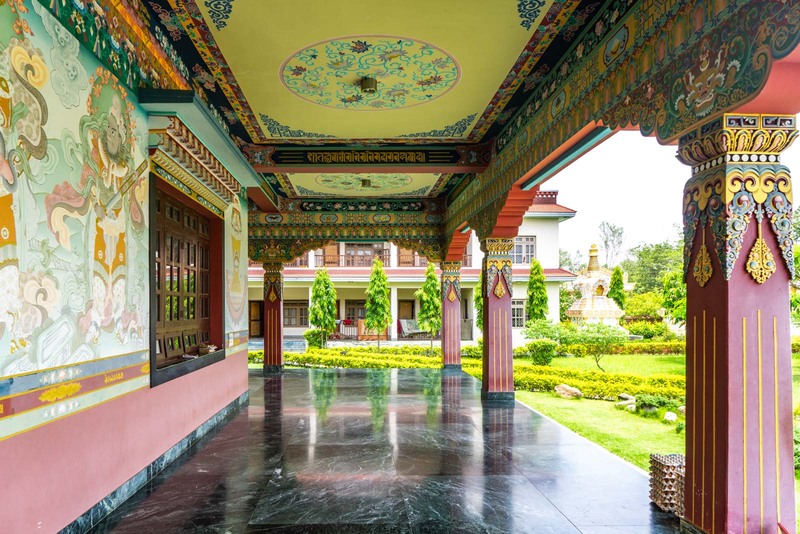 Seeing these sites for yourself, allowing your mind to consider new teachings, having conversations with pilgrims or monks – this is how you make the most of a visit to Lumbini. And it’s something you can take away with you as well. There is a lot of history here, much of it related to Buddha’s life and his influence in the world in the few centuries after his death. It’s worth taking the time to see some of that too when you’re here. Now I feel regfret because not visit this place when I was in Nepal. Wathing all this, look like watching all over world in same place, alot os histroy also. This is probably the best article on Buddha. Your article content history of Buddha that was exciting to read and a great experience to observe all those places where Budhha belongs too. It is the best article on Budhha.